The longer they go without their first victory, the hairier it could get for Newcastle in this season's Premier League - in more ways than one. Spurred on by a challenge from team-mates, midfielder Joey Barton has grown a moustache, which he refuses to shave off until the Magpies win a game. Barton told the club website: "It started out with about eight of us saying, 'you couldn't grow a beard'. "One thing led to another and before I knew, I'd agreed to grow a moustache." Barton added: "It could be here for a while longer if we don't get off to a good start - but hopefully it'll be gone soon. It's got a bit of flak and a few people have said it's ridiculous." The 27-year-old's top lip will have to remain unshorn for at least another few days after Newcastle fell to a 3-0 defeat at Manchester United in their opening fixture on Monday. They next face Aston Villa on Sunday in their first home game of the campaign, with Barton no doubt desperate to be given the nod to get out the razor. 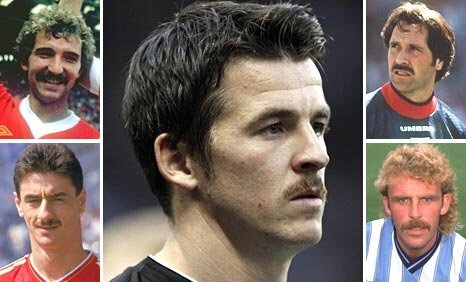 Of course, Barton is continuing a proud legacy of infamous facial hair in English football. 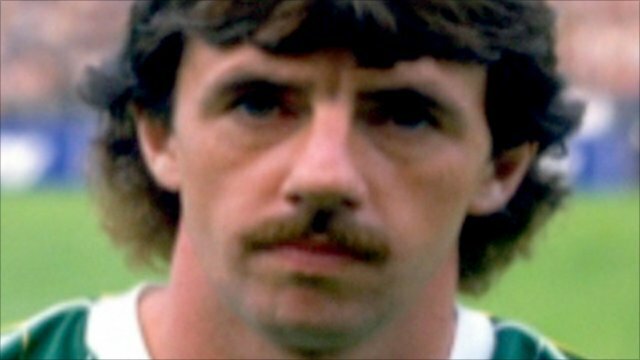 Liverpool are often considered the past masters of the art, with the likes of Mark Lawrenson, Graeme Souness, Ian Rush, Terry McDermott and Bruce Grobbelaar all sporting moustaches during their playing days. But notable mentions must also go to the likes of Neville Southall, David Seaman, Chris Kamara, Brian Kilcline and Micky Quinn. More recently, in September 2008, then Hull boss Phil Brown and Tigers goalkeeper Matt Duke both grew moustaches as part of TacheBack - a campaign designed to raise money for testicular cancer charity Everyman.